She is Eleanor‘s dream girl. 3 moths! Taralune stands on the Southernmost tip of the paved ring surrounding Auchindoun in Talador with her exceptionally moth-y team. She is surrounded by white flowers and visions of the past. Magic damagers are king against Taralune’s team. Dragons are also preferred because, with a couple exceptions, the incoming damage to your battle pets is going to be Flying damage. 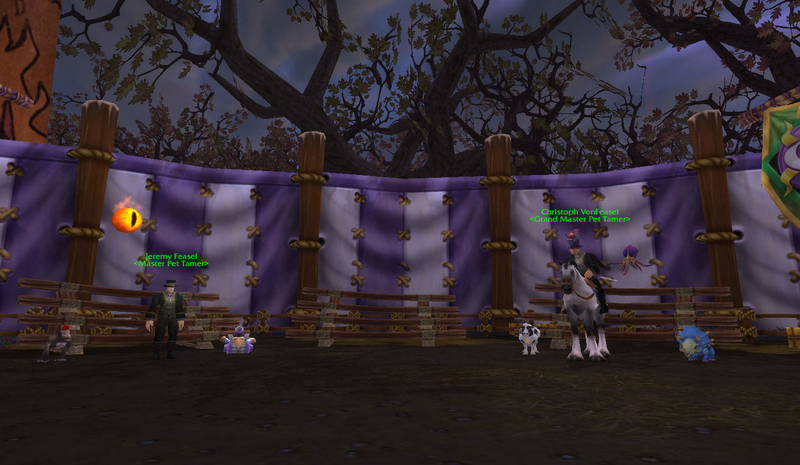 If you’re not using your Elekk as your carry pet, you’ll want to use a level 4-5 or higher. 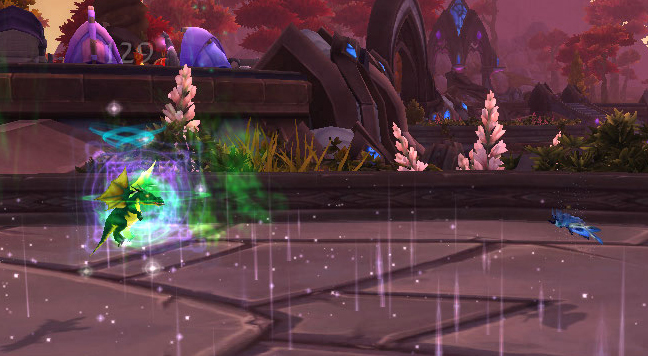 In the 2nd slot, I’ve also used the Emerald Proto-Drake fairly well. I use the Nether Faerie Dragon second. 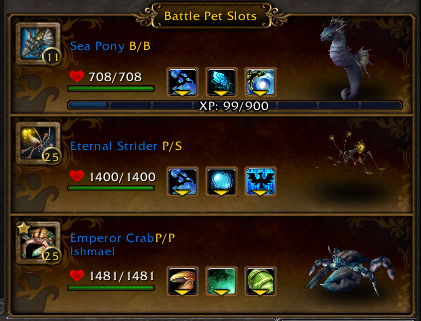 The Sprite Darter is basically the same pet, so that’s OK too. Swaps beyond that can get a bit dicey, since not many strong-defending dragons have a lot of frontloaded magic damage to burst down the rest of Taralune’s team. The Elekk goes in first, because the first thing Serendipity always does is cast Counterspell, so it’s a wasted turn regardless. 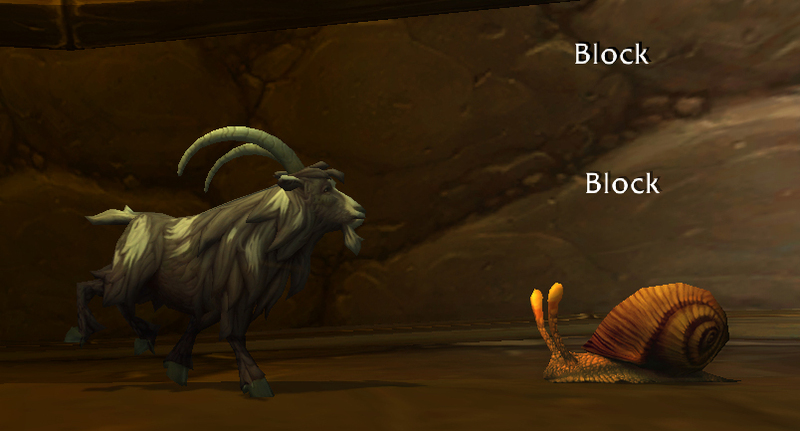 Counterspell is also rather indicative of this pet’s mojo. It will not sit still long enough to be hit. 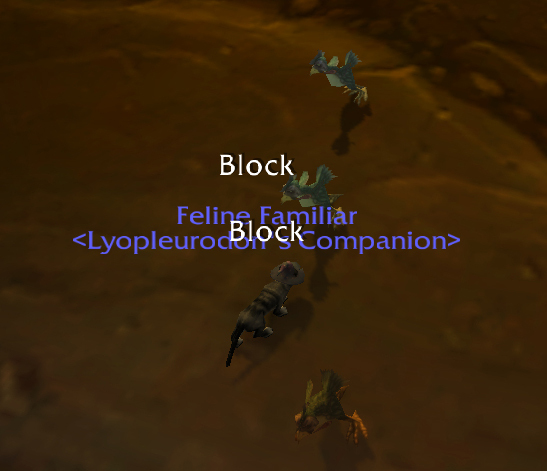 You need a pet with defensive moves and preferably a heal. 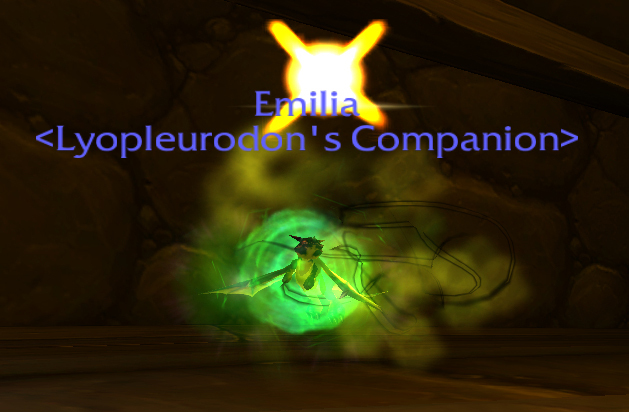 The Emerald Whelpling isn’t so much there to defeat this pet per se as it is to out-turtle it. The Whelpling will mostly just be here to destroy Serendipity alone, which is fine. 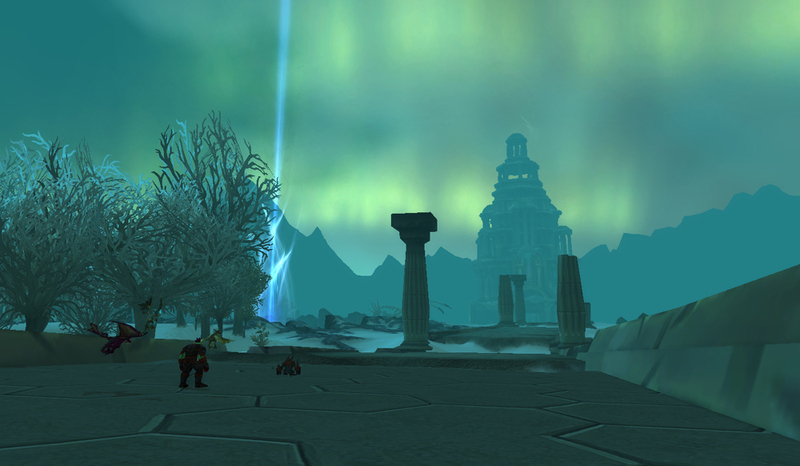 The other 2 are less of a threat, and the Nether Faerie Dragon’s Life Exchange levels the playing field beautifully. 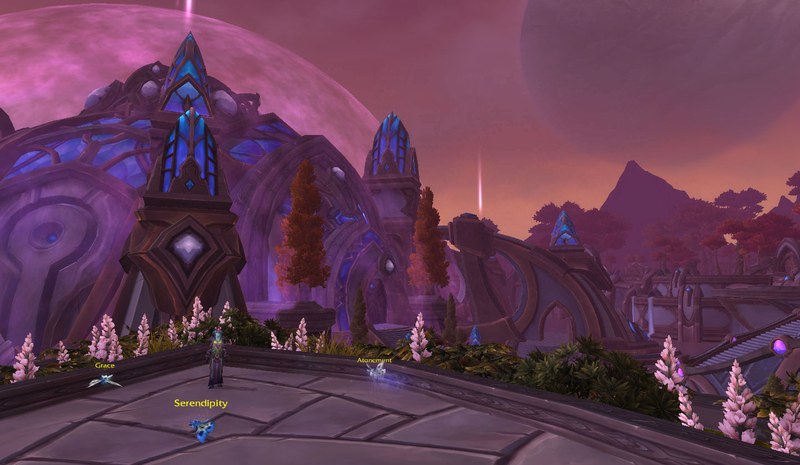 Grace will cast Call Lightning, but the Nether Faerie’s Moonfire swaps the weather back with a huge hit of its own. Atonement’s Nimbus and Moth Balls combo can frequently be deadly. Once you get Grace or Atonement below 50% some cool stuff happens. 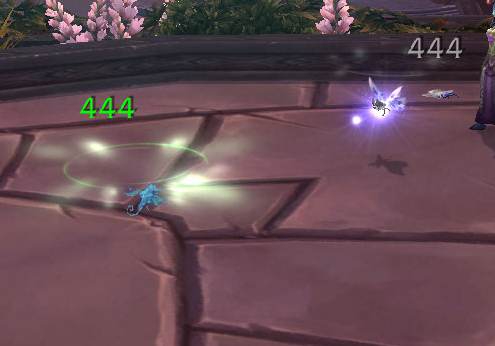 First, the Flying pet bonus is nullified, and the Nether Faerie Dragon is faster than either of them. 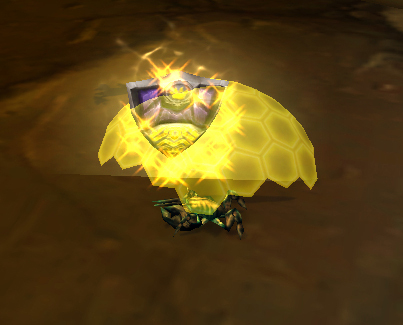 Second, the Dragonkin pet bonus kicks in, and the Nether Faerie gets a 50% boost to all damage the next attack. Both Grace and Atonement are toast before they can get a chance to do anything else. 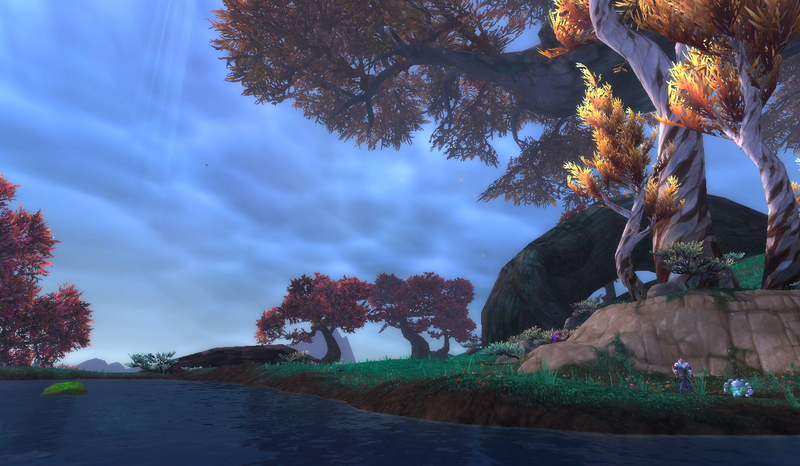 This entry was posted in Uncategorized and tagged strategy, tamer, Warlords of Draenor on September 16, 2014 by Liopleurodon. Oh my god, he’s back again. Warlords of Draenor is adding an additional Feasel, and this one is far more insufferable than his relation directly to the left. 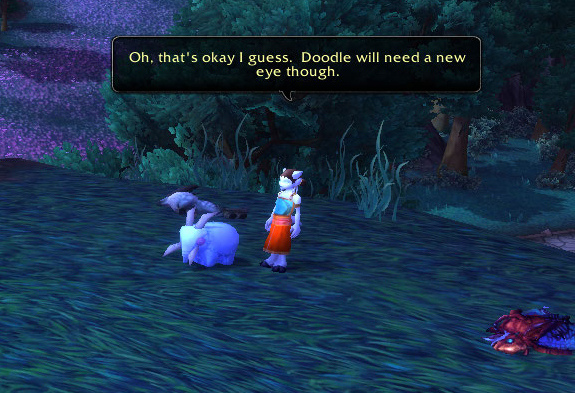 Feasel’s first pet, Syd, is a Magic pet with a lot of Aquatic offense. There isn’t a good Magic pet to defend against Syd’s onslaught with enough firepower to beat Syd, so I opted for the Emerald Proto-Whelp. It combines both heals and an avoid with a decent Dragonkin offense. 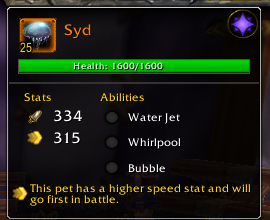 Syd uses Whirlpool on every cooldown now, so I find both heals and avoid to be rather key. 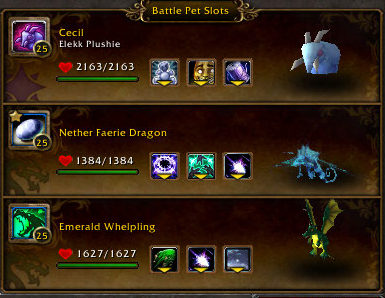 The Spawn of Onyxia or Wild Jade Hatchling moveset dragons are a good pick here too. As said before, Syd will use Whirlpool on every cooldown, so it’s important to use your avoid and your heal when necessary. He will also cast a full-block on hit bubble, so you just need the longevity to burn him down. 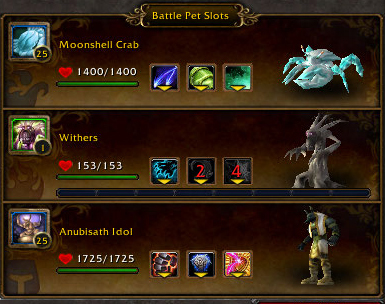 Feasel’s next 2 pets are both beasts, but their abilities make each unique. The reason I went with the Tonk is simple: Lock-On. 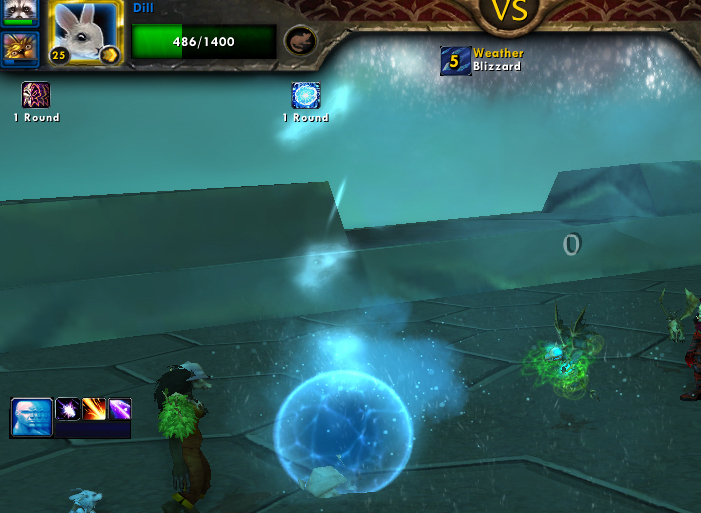 Because of the Direhorn’s incredibly annoying shield, many normal abilities are fully blocked by it, so you can’t just pick whatever mechanicals willy-nilly. Lock-On is an activated ability which hits extremely hard after being primed, so I use those down turns to begin Lock-On and cast a couple of his other abilities, then blast Mr Pointy’s face off in full when his shield wears. 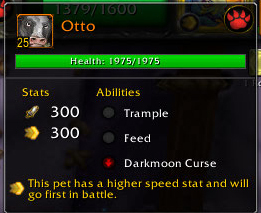 There are a few other pets with this ability, or similar ones. Launch Rocket is fairly similar. 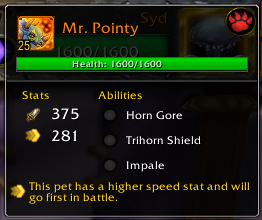 I also like having Minefield available to make a big dent in the next pet without a ton of effort on my part, but that’s just gravy. I’m not sure about other battlers, but Mr. Pointy was by far the source of the most cursing on my part. Christoph’s 3rd pet, Otto the Cow, has a combination of hard-hitting abilities and Feed, which means you want to blitz him down and quick. 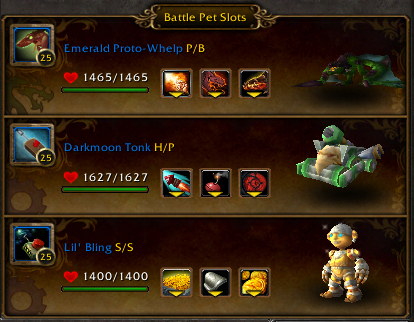 Lil Bling, my favorite battle pet of the expansion apparently, is up to the task. Make It Rain and Inflation go together like peanut butter, chocolate, and dessert wine. He also has Extra Plating for extra longevity, which I typically use so that I’m ‘safe’ through the Inflation turns. 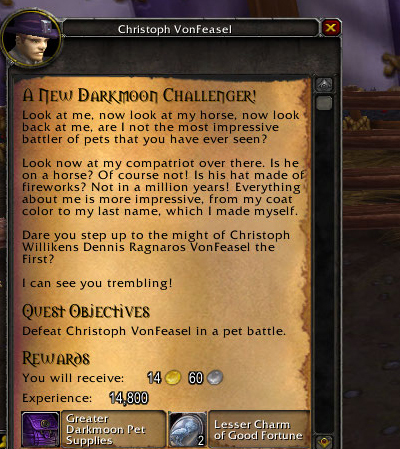 After you beat Feasel The Fireworksier, you get a new Darkmoon pet bag. 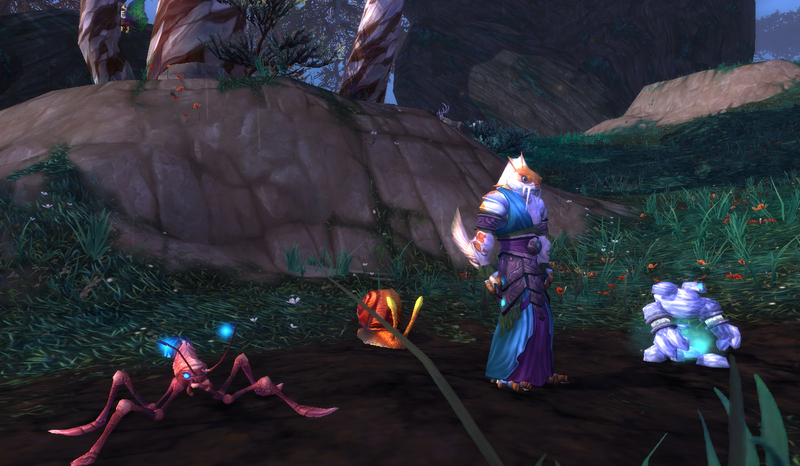 Mine contained the same old standard battle pet & Darkmoon gunk as that other Feasel’s. 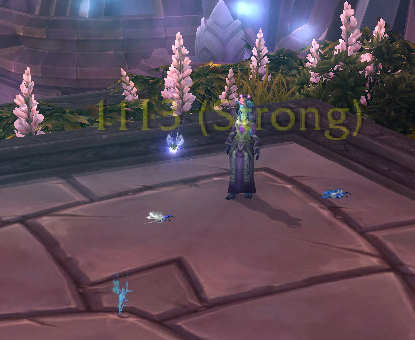 The new pet Syd The Squid also has a chance to drop, much like the Darkmoon Eye. 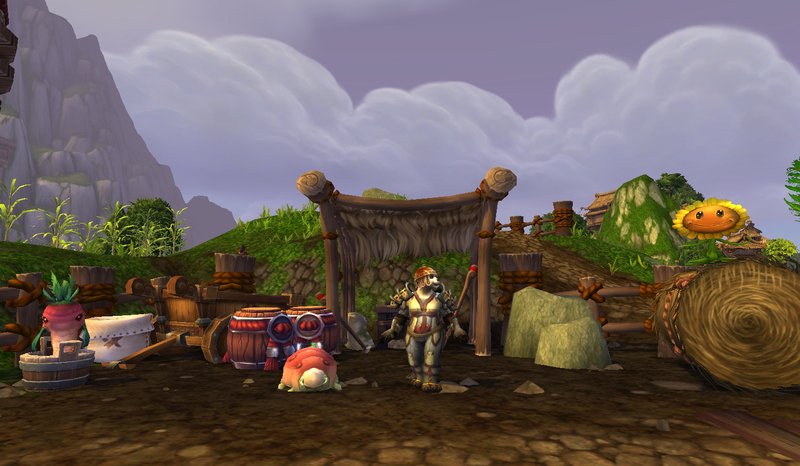 This entry was posted in strategy and tagged Darkmoon Faire, strategy, tamer on August 4, 2014 by Liopleurodon. 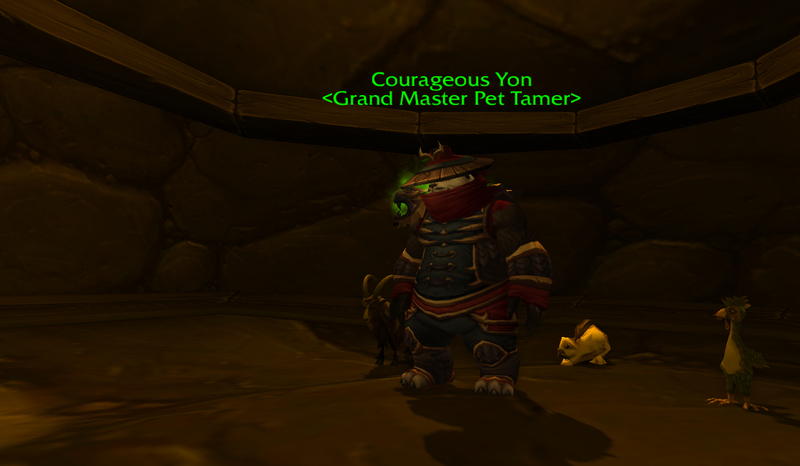 This guy is one of the hardest tamers you’ll come across as you level, for a variety of reasons. It seems kind of silly but I’m breaking him down before some of the later guys, because he’s such a big stumbling block for so many players. I went with the Hopling because of the single-round stun. You may want to use something like a Flayer Youngling, the Anubisath, or another humanoid. 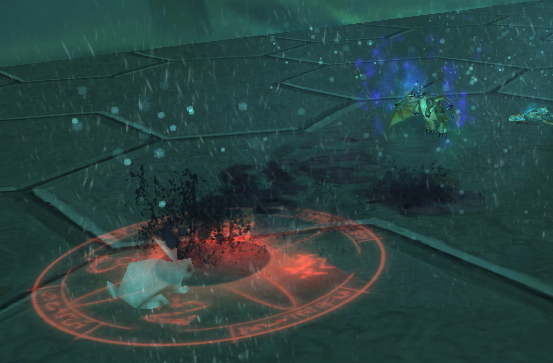 I wouldn’t recommend the Kun-Lai Runt, because he’s at his best with stuns, and stuns are generally a bad idea in PVE (the NPC usually switches out a stunned pet, so you don’t get the benefit). For the second pet, I have my speedy rabbit Dill as usual. 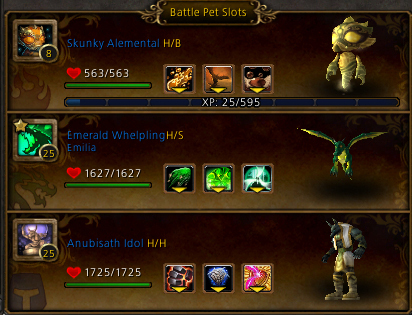 All these pets are fairly slow though, so even my H/B rabbit is faster than the second two pets. Almost any critter will work here, but the mitigation on the rabbits is really nice, as always. If this is your first time fighting him, go with a humanoid and 2 critters, hopefully with a dodge, burrow, a heal, etc. Some kind of avoidance and longevity, basically. 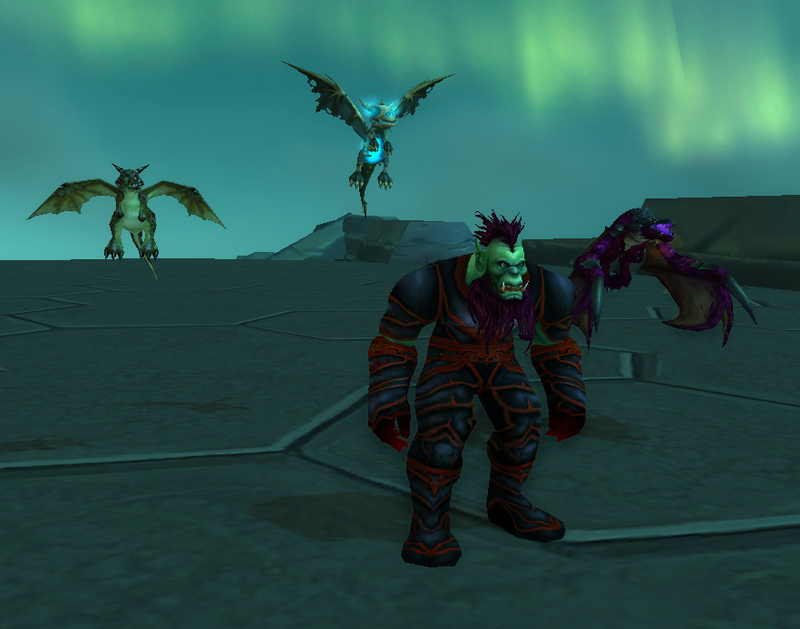 The first pet, Drogar, is a violet-reskinned green proto drake. 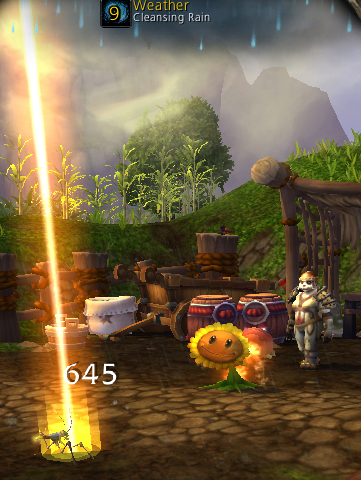 He has a Flying mitigation move, Flamethrower, and a self-heal. I go with the humanoid here to kill him as quickly as possible, hopefully before he can heal too much. This is the tricky part. The rest of the dragons on his team are undead, so a humanoid is not so helpful. 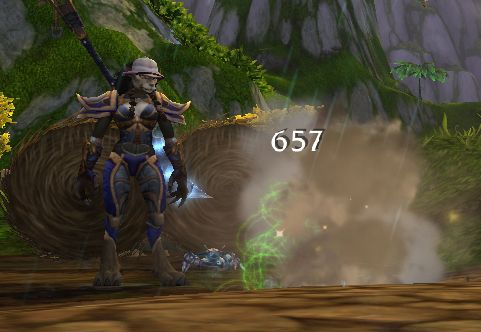 However, the next pet uses elemental damage, so it’s not like he’s just going to flop over. 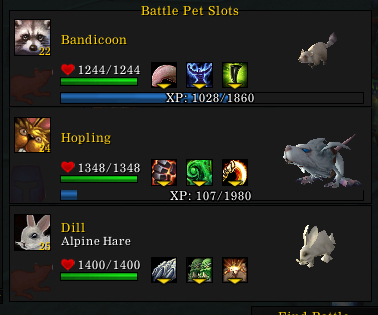 I use the Hopling until he dies, then swap to the rabbit, which deals extra damage against undead. 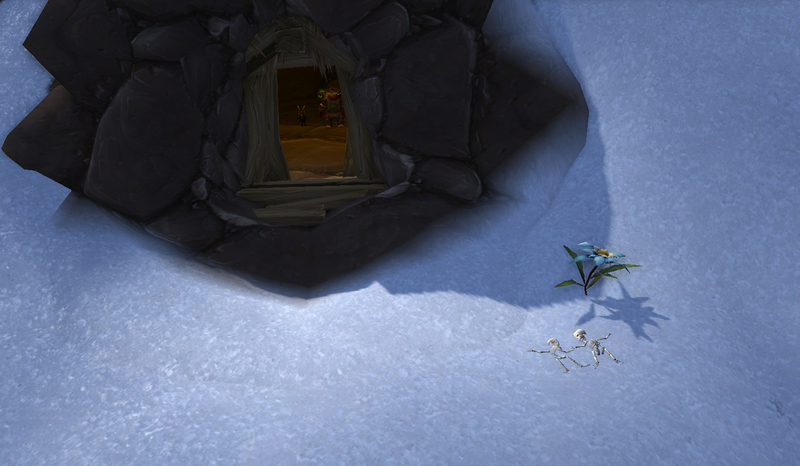 At first we’re going to just attack, until Sleet casts Ice Tomb. 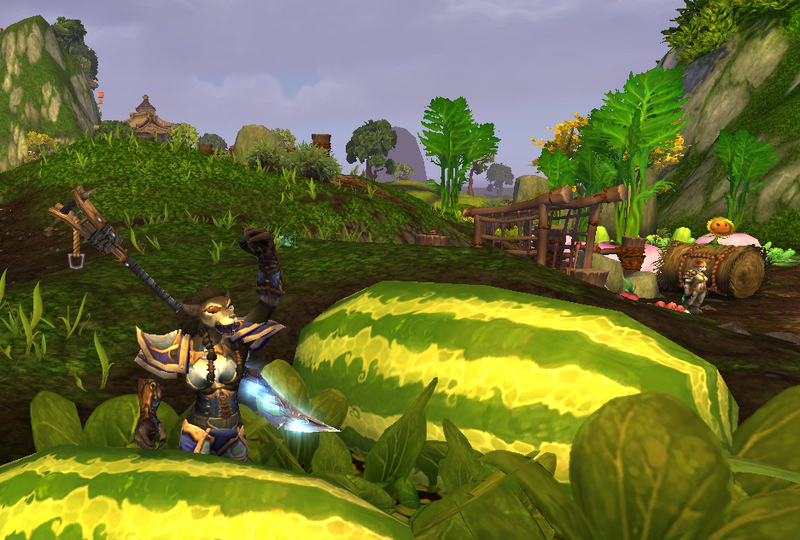 Then, we’ll wait a turn and use Dodge or Burrow, or whatever avoidance ability your critter has. 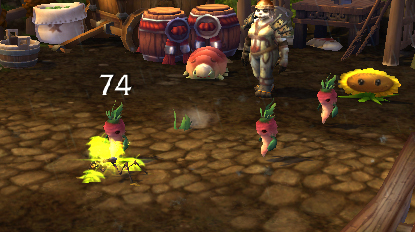 This is mostly because it’s a big hit and not so much because we have to avoid the stun, but if you want to use a pet without the critter family stunbreaker that’s a consideration too. Being undead he’ll resurrect for a turn, but you should be able to dispatch him fairly easily. The last pet is Rot, a Scourged Whelpling, with a ground AOE attack, plagued blood for a small heal per hit dealt, and Shadowflame, which does middling damage. It’s a particle-effecty good time. Just keep on hitting him and dodging where necessary. This is the easiest part of the fight, but don’t get too cocky. Use your avoids against Shadowflame when possible and burn him down. He’s also undead, so make sure you have enough health or pets to get past that one last round. This may take a few tries, but just take deep breaths and keep going. 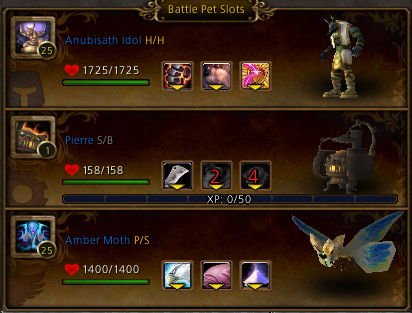 For your Awfully Big Adventure with your Elekk Plushie, I’d recommend the Anubisath Idol & Rabbit combo. This entry was posted in tamers and tagged strategy, tamer on July 30, 2013 by Liopleurodon.